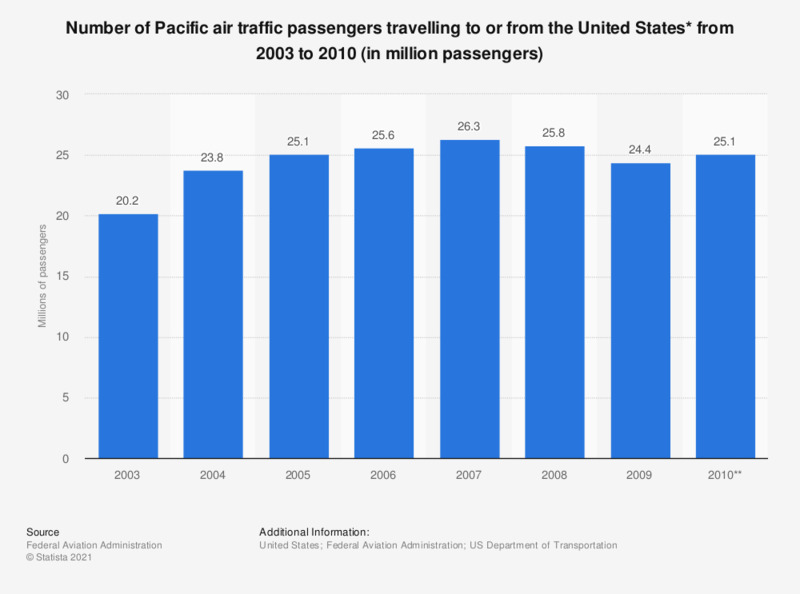 The timeline shows the number of Pacific air traffic passengers travelling to or from the U.S. from 2003 to 2010. In 2009, 24.4 million Pacific passengers traveled to or from the U.S.
* U.S. and foreign flag air carriers. Statistics on "Air transport industry in Germany"